You didn't like to share as a child. Maybe you wrote your name across your Barbie's face so that your little sister would know it was yours. Things have changed but you still get huffy when another woman walks into the club with the same handbag as you (and take yours by mistake!). Fortunately you have more stylish options for personalizing your belongings than a Magic Marker. How do sterling silver and Swarovski crystals sound? Boca Raton custom jewelry designer Constance Hart Tisdale founded It's Myne, a new concept in wearable art. 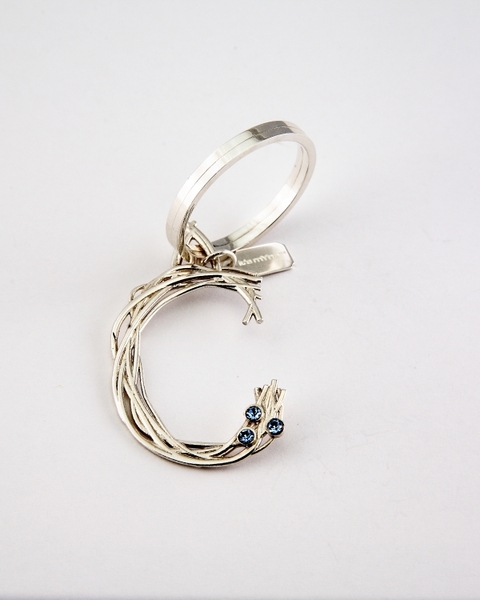 Her designer charms hook onto keychains, necklaces, handbags and whatever else you want to claim as yours. Design yours today and mark your territory. Tags: charms, It's Myne, jewelry, personalized charms, wearable art.